The Meadows Hotel will be home to Bar 101. This will be a unique experience for an upscale restaurant and bar experience for our entire area. 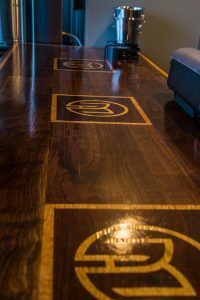 From signature cocktails to unique entrees constantly changing on our menu, Bar 101 will be a special place to take your family and friends. A dark decor targeted for a “date night” experience, Bar 101 will ensure high end quality with a dress code that is enforced. The restaurant will also contain a main dining room that can be closed off for private event rentals of up to 45. We will warmly welcome not only our hotel guests, but all in our area seeking a different experience. Bar 101 will strive to bring a little bit of Nashville to Fulton, KY. Check out Bar 101 this fall, inside the new Meadows Hotel. Bar 101 will be closed on Sunday and Monday, but open Tues-Wed from 4 p.m. till 10 p.m. and Thurs-Sat 4 p.m. till midnight.